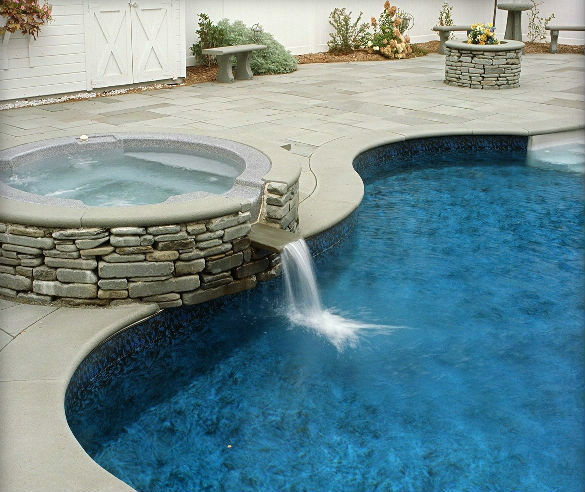 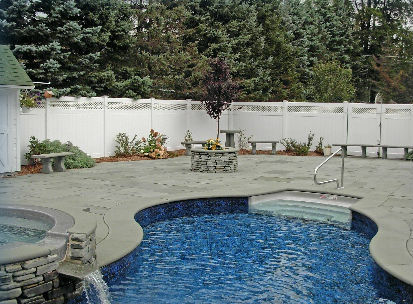 Product categories Pool Coping & Decking Archive - Johnston & Rhodes Bluestone Co.
Elk Brook Bluestone is often chosen for pool applications not only for its elegance, but also because it serves as an excellent slip-resistant building material – even when wet! 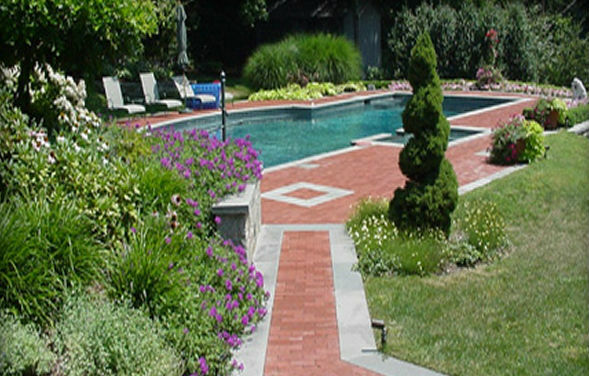 The majority of copings and decks are thermal or natural cleft finish. 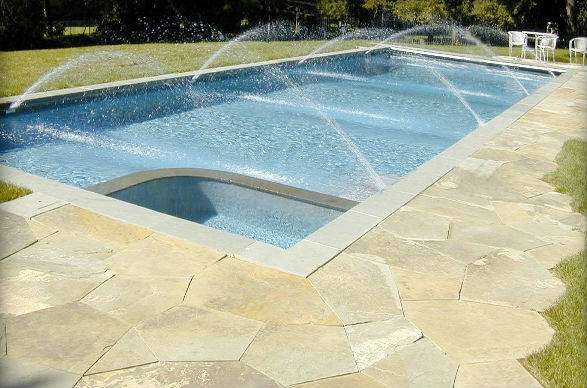 The edges can be flamed, eased, rounded, rocked, bullnosed, snapped, or profiled. 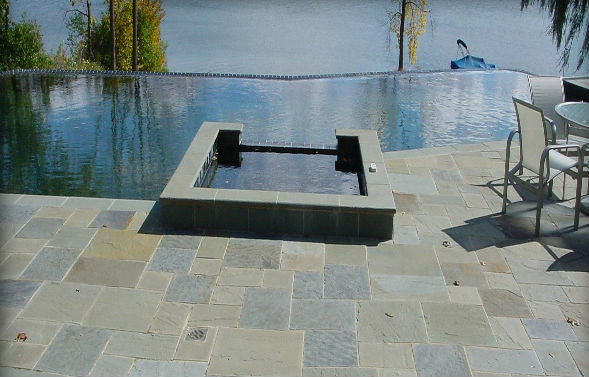 These copings can be created to fit almost any shape, and can be tailor made to any desired thickness. 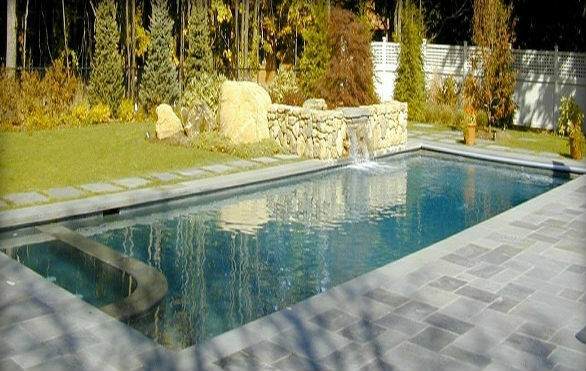 All that is required for any custom coping fabrication is an accurate drawing or template.